December 2015 - The Webb Family Serving at Grace International School Chiang Mai. So much has happened in a 2015, it seems difficult to write about our overseas experience succinctly. This year I am going to divide our news up into 7 points all beginning with ‘ H ‘. 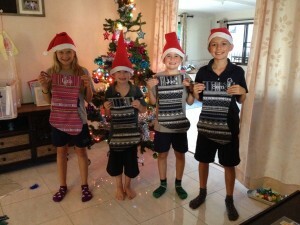 Four excited children with their Christmas stockings. 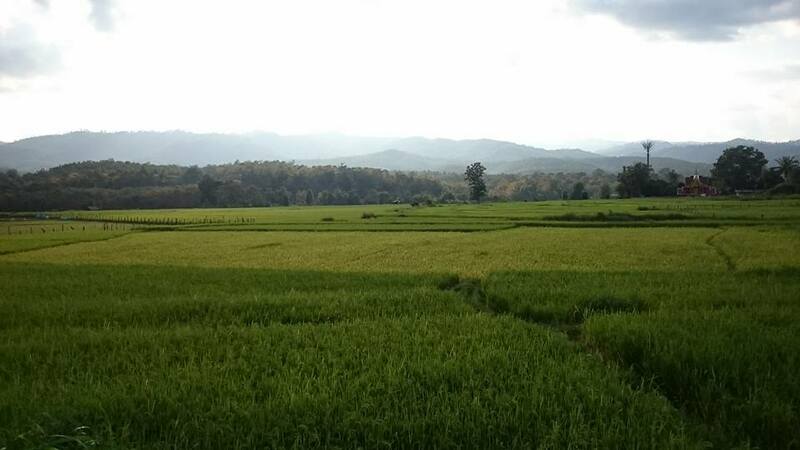 Despite having lived in Chiang Mai for 18 months now, it is difficult to say where ‘home’ is. We still often refer to Surrey as ‘home’ but we don’t know if we will return to Surrey. We certainly enjoyed our summer break back with Ann’s parents but not being in our own ‘home’ for that time had its own challenges. Ann has made the house here look much more homely. We have been able to get BBC i player and regularly watch Doctor Who but because of the time difference we pretty much missed the rugby world cup back ‘home’. 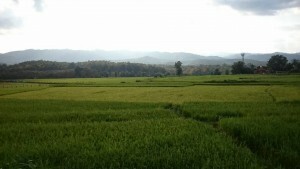 The hot season here was boiling with temperatures in the 40s. The heat makes the already pesky neighborhood dogs go crazy, let alone the human beings! However, we are so grateful to have a swimming pool in the school campus where we regularly cool off. This might not be the case after Christmas as the school is being sued for illegally purchasing the sports center 10 years ago. The judgement of the local court was in favour of the plaintiff and for the school to vacate within days. The school appealed to the supreme court and we await the decision as to whether the supreme court will hear the case of the school on 18th December. The supreme court may well uphold the previous decision, not hear the case and rule that we need to vacate the buildings. We may need to find somewhere else to continue to educate the high school students from 2016. Please could you pray about this -especially that we would all react well regardless of the decision. 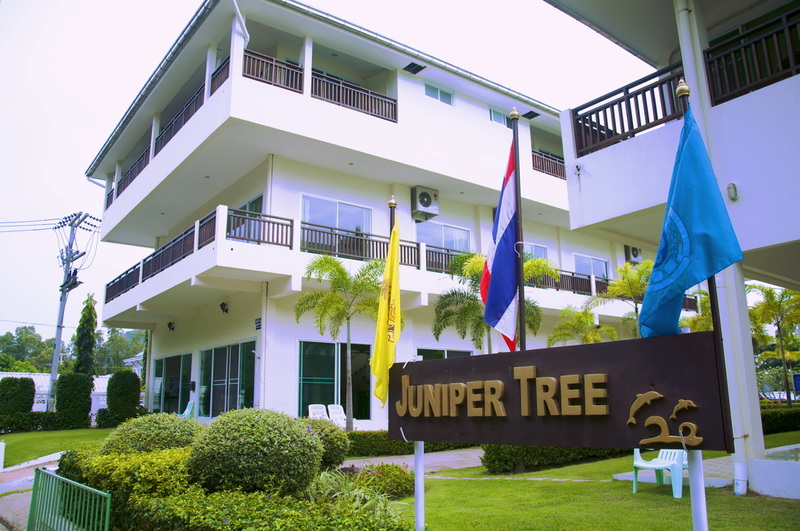 This Christmas, as last, we will spend in Hua Hin where there is a retreat centre for missionaries called the ‘Juniper Tree’. We are looking forward to some family time as school term is pretty hectic. We will meet up with a couple of families, living in China, we got to know last year. After this I will return to Hua Hin in the new year in order to cycle back to Chaing Mai (1000 KM). This is to raise some finance for a new classroom, as whatever the ruling of the court, we will need to build a new school in the near future. This year I am head of the RE department here. This involves supervising two staff. Fabri has arrived from Italy to teach in the Middle School and Dan has been co-opted from the administration to teach ethics and comparative religion. Dan will be leaving us this summer so I need a high school teacher from next August. Is anyone interested? Sam has moved into the middle school this year and with that move has endured an increase in his homework load. Isaac has started Kindergarten and is learning to read and write. Lois and Joe are both doing well on the elementary side. All four kids are looking forward to the “soccer” season in January. Together with 5 or 6 other families and a few singles, we get together on Sunday mornings for House Church. Having divided House Churches in January, we now have much more responsibility. It has fallen to me to divide up our teaching series and to do a lot of the preaching. We have gone through chapters 1-6 of Daniel and most of 1 Samuel. Ann also plays the piano most weeks and we have lots of small children to host. It can be quite challenging to prepare alongside the responsibilities at school. 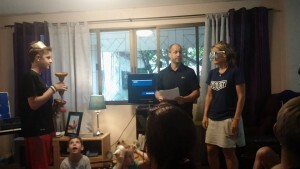 Please pray that some of the folks who have recently joined would take up the reigns and help teach and host too. When living overseas, health can be more of a concern. 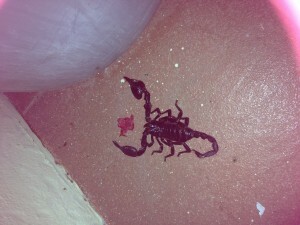 You don’t tend to get stung by scorpions in the UK. 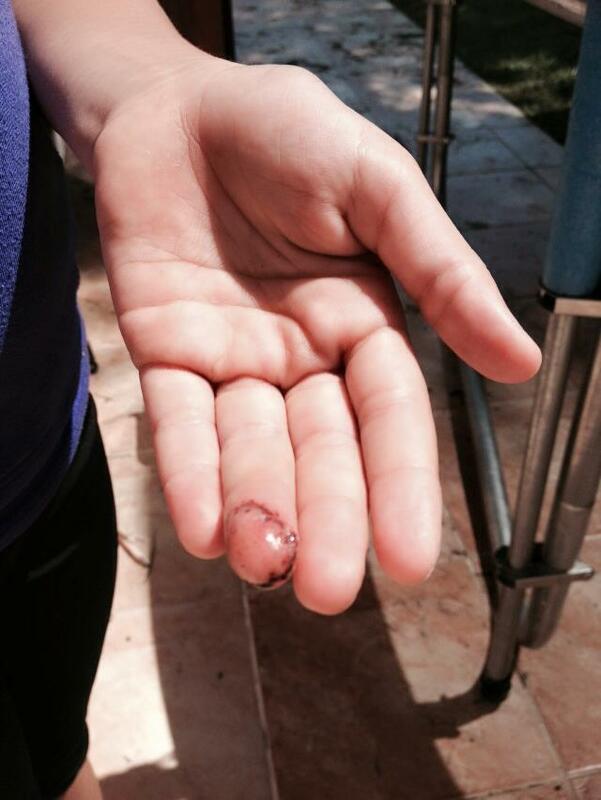 In October, Lois had a horrific accident which nearly severed the top of her finger when she trapped it in a toilet door. Praise God that it has healed so well. Ann has also felt better this term thanks to drugs for hashimotos. We are presently investigating helping Sam to grow as he is much shorter than all his classmates. On Sunday at Church I was preaching on the genealogy from Matthew’s gospel. It does seem a strange way to begin the New Testament. Yet Matthew, skillful writer as he was, is showing that Jesus is the fulfillment of all stories. All the categories that were set up in the old, Jesus fulfills in the new, but not only that, Jesus fulfills all stories. He is the Mocking-jay, born in district 12- Galilee of the Gentiles. He goes to the capitol to give His life to save people from the tyranny of sin and death. He is the ultimate ring bearer. He comes to change our beastliness into beauty and to remake this fallen world. In so doing, He turns all the world’s values upside down. Included in his genealogy are 5 women – all with scandal affixed to their name: the incestuous and deceptive Tamar, the prostitute Rahab, the Moabitess Ruth, the adulteress Bathseba and his mother Mary. Kings and prostitutes sit down together in the Kingdom of God as people who have been shown grace. That means there is Hope for all of us this Christmas. Jesus begins a new generation- the seventh seven. He fulfills what the year of jubilee foreshadowed. He comes to cancel all debts, to free slaves and to bring rest. Our lives, including whatever 2016 has in store, are set in the context of this grace and this hope. Sending our love at Christmas time to you all. May God bring you this Hope and peace.